Now this is something I’m excited to see and I think it’s a great idea! 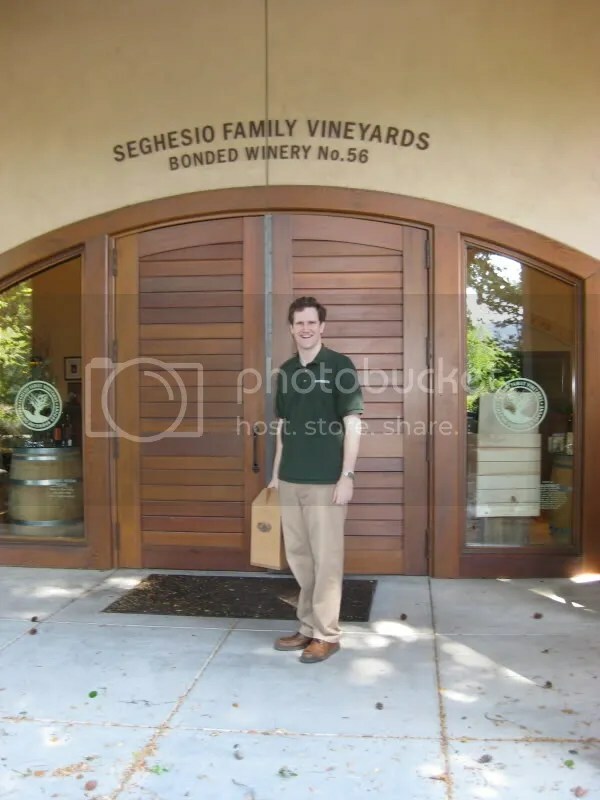 I got an email today (to my personal email, not to the blog as a press release) from Seghesio Vineyards. Now, I’ve long been a fan of Seghesio and have visited several times so I signed up ages ago for their email list to keep abreast of what they are doing. 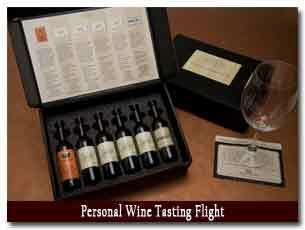 Today’s email announced a new “wine flight” kit containing 6 50mL bottles of wine. It’s for sale for $30 and has 6 of the most current releases from the vineyards. The kit also comes with a $24 discount on your next 12 bottle purchase from Seghesio. I think this is a really cool, approachable way for folks to get to know your wines. They aren’t committed to 6 full bottles and the associated costs and the potential of being disappointed in a given bottle and they don’t have to manage to get to your tasting room to taste all your newest releases. I hope this concept takes off and is successful for Seghesio. Great idea folks! 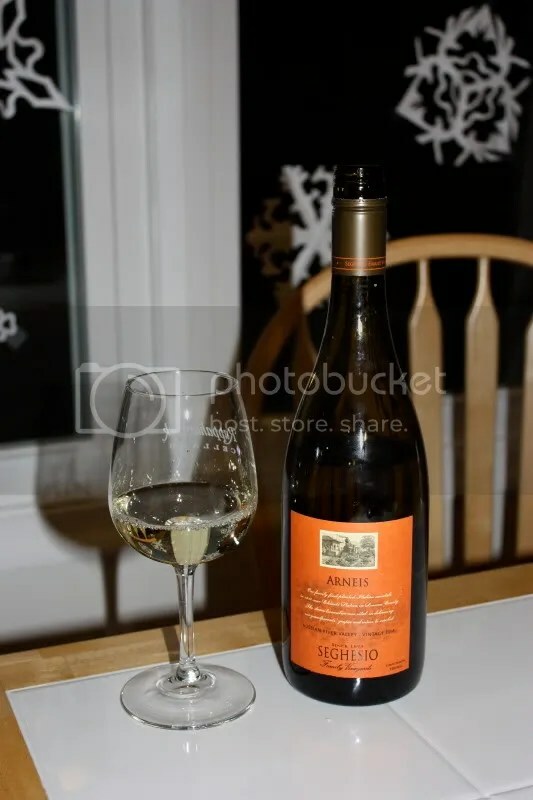 Although I checked Arneis off my list of grapes to try quite some time ago (about the same time I bought this bottle of wine) I don’t believe I ever wrote up this bottle. Not sure why, we purchased several bottles of it, and this is the last one. I guess my thought process was “Oh, I have other bottles of this so I’ll take notes on it later.” Sometimes that works out for me…at other times I end up not writing about a wine because I drank all the bottles in the basement without taking notes, thinking there was another one down there! 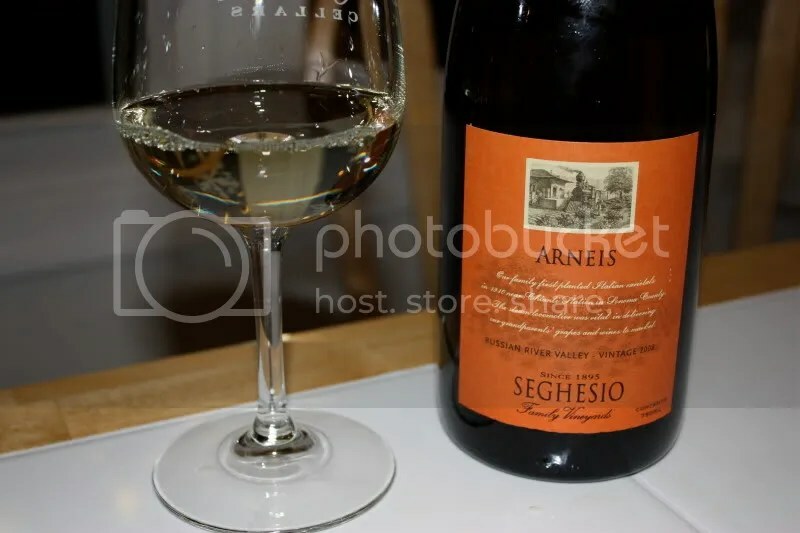 We purchased the 2008 Seghesio Arneis at the the winery for about $18 (I think, I didn’t save my receipt), it clocked in at 13.2% alcohol by volume, and had a screw cap closure. On the nose I found pineapple, tropical notes, coconut, white pepper, and fresh lemon. Overall it struck me as quite tropical. In the mouth I got tropical fruit, star fruit, pineapple, lemon and lime edges, and other citrus. We really enjoyed this as an alternative dry white wine that would be great for a hot summer’s night and some grilled fish. As a matter of fact, that’s how all the rest of the bottle were consumed! We had some time to kill after our appointment at Mounts and before we met up with lots of folks at the Healdsburg Bar and Grill for drinks and food. I remembered that on the way into town is Seghesio’s tasting room, so we decided to swing by and see what Seghesio has going on as it’s been a few years since we visited. At this point, we encountered the windiest portion of our day, which managed to whip open the enormous heavy wooden doors at Segehsio all on its own. Later we heard that power got knocked out to much of Healdsburg, which didn’t surprise me as we had a few brown outs while tasting at Seghesio. 2008 Russian River Valley Pinot Gris: $20. Lemon, honey, spice, light, zesty, orange blossom. 2008 Arneis: $20. Melon, slight mint, light, citrus, crisp, tart fruit, refreshing. We took home two. 2007 Costiera Russian River Valley Pinot Noir: $42. Smoke, cherry, raspberry, earth, strawberry, bright red fruit, herbs, tannic. Nice. 2006 Cortina Zinfandel: $36. Blackberries, fresh pepper, red berries, pepper, dark, spicy, tannic. 2006 Block 8 Zinfandel: $28. Pepper, mint, herbs, anise, blackberries, pepper, spicy, spicy, spicy. We bought one. 2005 Home Ranch Zinfandel: $36. Blackberries, floral, perfume, some red edges, very fruity, smooth. 2005 Home Ranch Petite Sirah: $38. Pepper, earth, dark, molasses, brown sugar, dark berries, blue fruits, blueberries, dark. 2007 Barbera: $28. Campfire, smoke, dark black fruit, earth, black black fruit. Matt really liked this one so we took one home. Seghesio makes a Zin that retails for about $17 or so that I buy for parties and for everyday drinking by the case at Total Wine and More. It’s always a hit, even with folks who say they don’t like red wine. So I like to stop by their tasting room when we visit to see what’s happening at the winery. Tasting the Arneis added another grape to our Century Club search! Our wine for the evening was a 2004 Old Vine Seghesio Zinfandel. We picked this up on our visit to Seghesio in April, one of our stops along our Sonoma trip. The bottle cost us $33, a bit more than we normally spend, but I really liked this bottle of wine at the tasting. It had a real cork closure and clocked in at 15.3% alcohol by volume. On the nose I found leather, raspberries, spice, and licorice. In the mouth the wine showed raspberries and blackberries and just a touch of the licorice. Overall the wine was smooth and balanced, though slightly sharp on the finish. It’s drinking fairly well now, not sure if it will smooth out any more. We drank it on it’s own, but my affinity for Zinfandel is to grill up a nice big steak. This one would have worked well with my steak and jam/wine reduction sauce. First Soup of the Season! The wine for the evening was a 2004 Seghesio Sangiovese. We picked this bottle up when we visited Seghesio last spring. This was Matt’s favorite bottle at Seghesio and we took home 3 bottles. We paid $28 for this at the vineyard, it had a real cork closure and clocked in at 14.8% alcohol by volume. A fun fact from the back of the bottle states the Seghesio is the oldest grower of Sangiovese in America. On the nose I found black cherry, currants, sweet flowers, and cloves. I really like the aroma on this bottle of wine. In the mouth the wine was smooth. The flavors were spicy, with floral notes and an overall sense of fresh fruit. 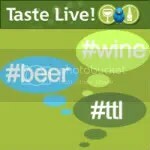 Juicy black fruit, cherries, and leather were the predominant flavors. I served the wine with the first soup of the season! Yay for fall!! I made Sarah’s (who writes the blog Beadimous) Zuppa Toscana, which became our favorite soup last winter. It’s a chicken stock/broth based soup with Italian sausage, bacon, potatoes, kale and cream. Delicious and a fairly good match for the lighter fruit flavors of this Sangiovese. I’m very glad we’ve got a few more bottles of this hanging around. 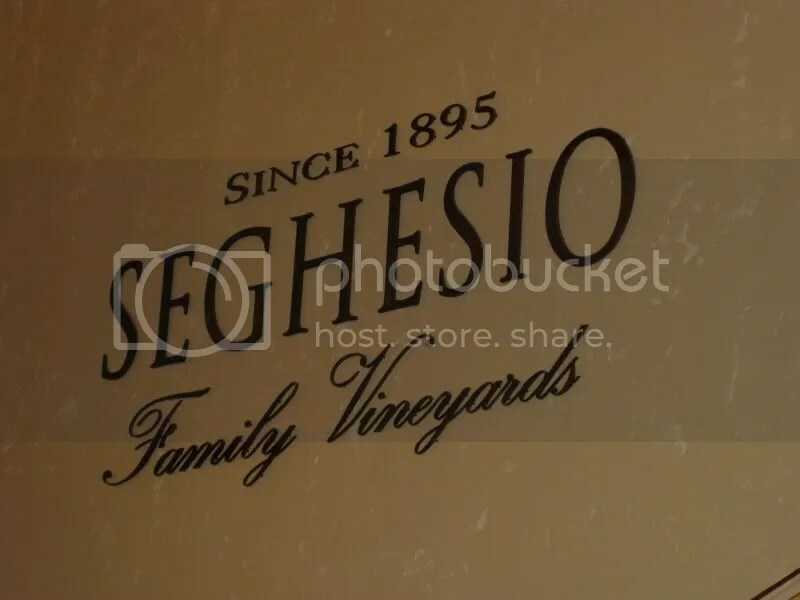 Our very first stop on this trip to Sonoma was at Seghesio Vineyards. Unfortunately, I left my camera at our B&B and didn’t take any pictures. The tasting room is fairly close to the center of Healdsburg, so is a great stop for after lunch in town, which I would have thought of had I actually mapped everything we wanted to get to in relation to each other rather than making individual maps for each thing! Enough of that. I loved the yard in front of the tasting room. It had a single row of vines growing up close to the property line and was very well manicured with flowers all in bloom. Inside, the tasting room was very spacious, with a long tasting bar against the back room. I thought it was great that through the windows behind the bar you looked directly into the barrel room which was dimly lit so you could see all the barrels lined up (I’m a little fascinted, oddly enough, by wine barrels). 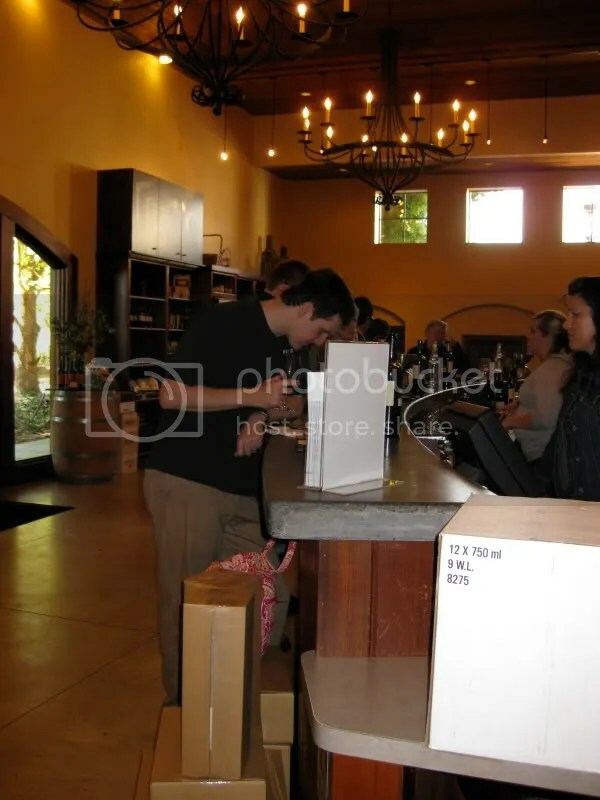 Our tasting room attendant was very friendly, he encouraged us to come back on Friday for the food and wine pairing they offer, but we weren’t able to swing back by. Sorry about that! He chuckled at my note-taking, but said he’d check out my blog, so hopefully he will and catches this post! We tasted through 6 wines, following are my brief notes on each. 2005 Russian River Valley Pinot Grigio: $19.95. Light and crisp, lemon and vanilla flavors, nice finish. Good summer wine. 2005 Costierra Pinot Noir: $38. Raspberries, cherries, spicy. Very young. Seems like it should age very well. 2004 Sangiovese: $28, 14.8% alcohol by volume. Very pleasant aroma, juicy black fruit, very well done. This was Matt’s favorite of the tasting, we took home 3 bottles. 2004 Cortina Zinfandel: $36, 15.3% alcohol by volume. Pepper, blackberries, juicy, good structure. 2004 Old Vine Zinfandel: $33, 15.3% alcohol by volume. Blackberry tart, vanilla. Juicier than the Cortina. This was my favorite of the tasting, we took home 1 bottle. 2005 Home Ranch Zinfandel: $36, 15.3% alcohol by volume. Earthy, dark cherries, slight hint of vanilla. Overall, a very nice choice for a first stop. The wines were a little pricier than I would have liked, but were all very well done.